According to a recent article in the NY Times Well section moving around at work can help your day. "Standing up and walking around for five minutes every hour during the workday could lift your mood, combat lethargy and even dull hunger pangs." They recommend walking for 5 minutes for every hour spent at work. We could not agree more. Additionally if you really want to be good to your body do some Tai Chi. You can work the wrists neck and back for instance. You can do a short form or just a few moves. Tai Chi is that portable. But first you need to have a foundation. Just walking and stretching is fine but you deserve much more. 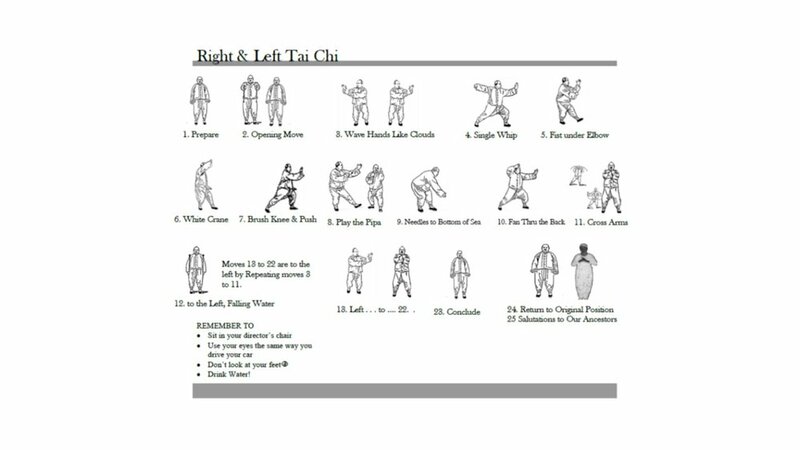 Try our Tai Chi one minute "chill drill" (requires no pill).